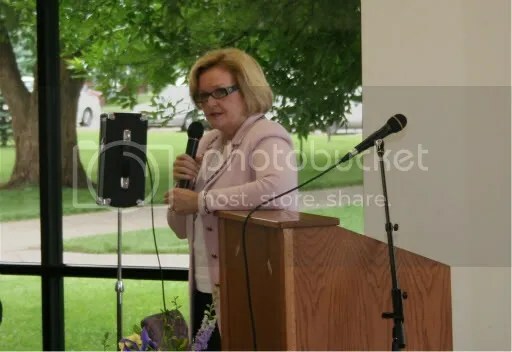 [applause] Senator Claire McCaskill: Good morning everyone, it’s terrific to be here. I am not here to give a speech, I’m here to listen and answer questions. So, I’m not gonna do a long introductory set of remarks. I will tell you that when they talk about us leaving Washington, I want to reassure everyone that when we get a week off from Washington, at least this senator and I think most of my colleagues don’t go home and watch Oprah. [laughter] We do things like this, which is a really important part of my job, is to come out in a public forum, no screening, no, no preset questions, to listen. And to understand what’s on your mind. And so, the more we get a few weeks off in Washington, the better it is I think, because that gives us the time to move around the state and have the kinds of meetings and opportunities to talk to the people that we work for. Because you can get to thinking you’re a pretty big deal out there. They’re very deferential and it’s kind of an insulated environment. And I can see how you can lose perspective about what’s important and, and how you should conduct, how you should set your priorities. …The rest of the money in the stimulus bill was designed to create jobs. It was not designed to fix every problem America has. And I got in a little bit of trouble because I was part of the group that cut a hundred billion dollars worth of spending out of that bill. Because the spending we cut out was designed to run programs. And, that’s not what this bill was about. It wasn’t about fixing every ill have, it was about creating jobs. 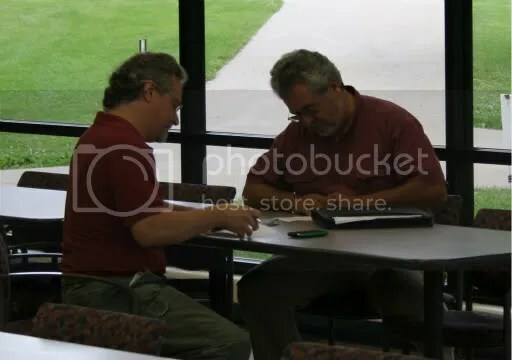 So, there were a group of Republicans and about ten to twenty, [garbled] is really more about twelve of us, Democrats, that worked and cut a bunch of spending out in order to try and really tailor this just for job creation. So I wanted to try get that out there and I’m happy, I mean it does everything from electric grid to Internet broadband in rural areas, to roads, bridges, highways, some competitive money in there for a number of different projects such as high speed rail. There are several high speed rail corridors that can compete for that money. And we’re in that competition, by the way. I think we’ve got a really good shot of getting high speed rail from Chicago to St. Louis and then, from St. Louis to Kansas City. Which obviously would be great, especially if we make sure that high speed rail stops a couple places. I’m saying Sedalia and Jeff City would be the logical places for it to stop. [applause] But, that’s down the road but it’s in, that, that money’s in there and I think we’re in a position to compete for that. And I do think that the Chicago to St. Louis leg of that is probably gonna happen. And that means we’re really much more competitive for the St. Louis-Kansas City link of it. So, why don’t we now open up for questions? I’ve got until ten thirty. And here’s how we’re gonna do this, because I’ve had some experience now. [laughter] ‘Cause this can get ugly. [laughter] I, I , I am, I welcome questions from people who disagree with me. I’m here for that reason. So, do not feel like you need to ask a question that agrees with what I’ve done or how I voted. I welcome that. I would ask that you not shout things out, ’cause we’ve had a few of these that got a little out of control. People got excited. So I’m just asking that you be considerate. And what I’ll do is. I’ll do girl, boy, girl, boy. And I’ll work around the room, this way, and then I’ll work back the other way. And we’ll get to just as many of them as possibly can. And if we finish today and we haven’t gotten to your question, I would ask you write it down or contact. Oh, here. Oh, they’ve already written them down? Oh see, what do I know? [laughter] I didn’t know that they were doing that. Oh, I didn’t see him. State Representative Aull’s here. Thank you for being here. He does a great job [garbled] in Jeff City. We’ve written ’em down, so if we don’t get to all of these, I’ll start, I’ll, I’ll pull ’em out, I didn’t realize you guys had already written ’em down. If, if we don’t get to them we will get you an answer. We may not get it overnight, but we’ll get it to you. So you know, just so you know how many people contact me in a week, we have between ten and fifteen thousand letters and e-mails from Missouri ans. Every week. And we work very hard at trying, how many of you have ever written me or e-mailed me? Now, this is the scary part of this question. How many of you have gotten a response? Okay, not bad. [laughter] Not bad, you work at that every day. It is a, it’s a bigger challenge than you realize. Because I don’t want to plus up staff unnecessarily ’cause that’s your money. And so we try to run a very efficient and effective way of getting back to everyone who contacts or writes us. So we’ll get back to you. It may not be overnight. her than me read it. Question: Sure. Well first I wanted to thank you [garbled] for all the housing authorities in the state for the AARA stimulus funds. And that we are going to be spending them responsibly. Second comment, I really didn’t have a question, the comment was that housing authorities, community development programs throughout the country have been underfunded for the last, I’d say, four or five years. And with the appropriations bill, the HUD appropriations bill for the year two thousand and ten, it’s going to be fully funded. And I would hope that it would continue to be fully funded. Question: Hi…I want to ask about the Waxman/Markey bill that’s in the House right now. President Obama’s clean energy jobs plan. It’s gonna bring about four hundred fifty million dollars worth of investments in clean energy, smart grid to the State of Missouri. About four hundred and forty three thousand green jobs. You know, we, I got right here a copy of a petition that, twelve pages, signed by Missourians from all over the state, all the way up Kirksville down to Hollister and everywhere between. And I was just wondering if you might be supporting the bill? Senator McCaskill: Well, I don’t, I want to wait and see what the situation is when it gets out of the house. They’ve improved it. I will say this – Henry Waxman has, you know, trimmed his sails a little bit and has, I think, been more practical about how we go forward in terms of limiting the emissions of carbon dioxide. And let me tell you what my, what I’m looking for in this bill. First of all, we’re a coal dependent state. And I don’t want the people that I represent unfairly being left with the price tag for this bill because we’re a coal dependent state. I can’t call Ameren UE and say, “Hey, you know, I’d like that electricity that you send me. I’d like you to switch that to solar or wind or nuclear.” I have no choice. And so if we are going to penalize coal powered, coal powered utilities, which the bill does, we’ve got to figure out a way that doesn’t harm average consumers and small businesses with those costs. Now the allocations they’ve done over there is better than when they started. And by allocations, what you would do is, basically what you’re gonna do is let the free market reward or punish people based on how good a job they do on limiting carbon emissions. Which, by the way, I like the free market doing it ’cause it’s more efficient than government doing it. But, what we generate from that needs to make sure that it’s going to those states that are coal dependent, going to those small businesses in those states because it would really hurt us if the bill, you know, the way they originally had it last year, it, it, I couldn’t vote for it. Because it was gonna basically pay off everybody you could possibly imagine, including the State of California, and people in Missouri [garbled] left holding the bag. The other part of the legislation, and this is called the climate change/global warming/cap and trade, goes by all those names, that’s the bill he, he’s talking about. The other thing I think we’ve got to be very careful of is in this economic climate we cannot hurt our competitive advantage globally. Think if you are a small manufacturing plant in Missouri. And you’re wanting to grow. And right now you could go to China, where they’re putting up a coal fired plant every ten minutes. Or you could go to India and know you wouldn’t have any of those costs. And by the way, all those emissions go to the same planet. They cause the same problem in the atmosphere that ours do. And what I want to make sure is that we don’t, in a global sense, put ourselves at such a competitive disadvantage that we lose even more manufacturing jobs to the international market. So that’s the other thing we have to be careful about, is making sure that we don’t do it in a way that really harms our competitiveness on a, on a, in a global sense. Having said that, I’m for the concept, it’s the details that I’m gonna pay attention to to make sure it doesn’t hurt job creation of the people in Missouri. Question: We were wondering how local governing bodies might go about getting access to some of the grants [garbled] are available in the [garbled]. 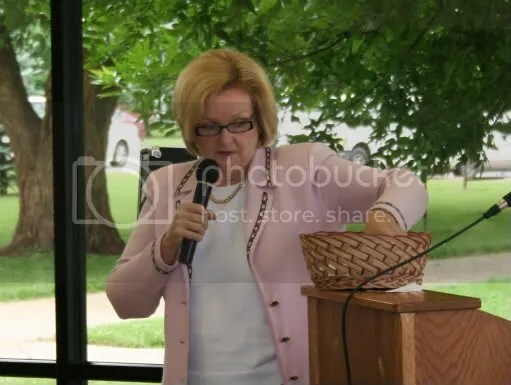 Senator McCaskill: Well, first of all, I think we’ve done a pretty good job on our web site now with a resource guide. In fact I’m gonna brag on my staff and, I don’t, Sam’s not here is he? Sam’s not here. But…is here, we’ve got all kinds of folks here from. And Cindy’s here and we, they should come up here and you should see them all and they should introduce themselves before we finish. But, they’ve done a really good job on our web site. 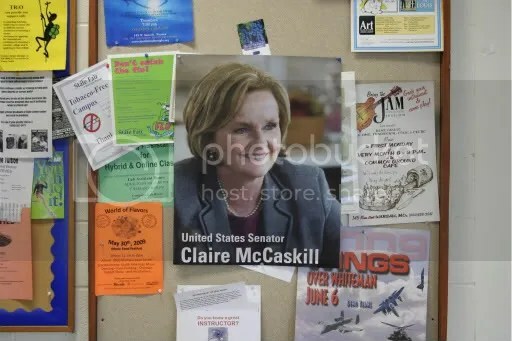 And if you haven’t been to mccaskill dot senate dot gov, go there. And for all of you that are interested where this money is going, there’s a map, an interactive map. And you can click on it and see exactly where the money is going. In every, hundreds and hundreds of communities across the state. And, and go in and get the detail of what program’s getting the money, how much, and how, and then it has a long resource guide with lots of links to get you where you need to go to find out about various funds. And, and, now most of these programs, most of this money is going to existing programs. ‘Cause we didn’t want to create a new bureaucracy. The last thing we want to do is grow government with the stimulus money. So it’s all going through existing programs, CBDG, it’s going through a variety of different existing programs. And all of it is either formula or competitive. But, and we’re happy to get you specific information on areas. If that doesn’t help answer your questions or get you the answers you’re looking for you just need to call, call the office and Cindy and the staff there will help you. Voice: You forgot to say your voting record is on, is there, too. Isn’t it? Senator McCaskill: Beg your pardon? Voice: Your voting record [crosstalk] is there. Senator McCaskill: Yes. [crosstalk] Yes, yes. You can find out way too, way more information about me than you want to know. [laughter]…Yes sir. Question: …regulation, health care. All of that. We’ve off shored that money. And, and now we’ve gotta bring it back. Well, how are we gonna do that? How do you propose to do that? I’ve, I’ve read a lot of different proposals, one of the, very interesting is the fair tax, that would bring incentive to bring industry back in this country. Because we’d be reducing the tax base. And if we brought industry back, if we brought competitiveness back, and we started producing again, then, then we would generate more money and we could do more things and have more jobs, have more health care. Have, have all these capabilities. But we would be generating the revenue internally. How, how do propose we do that if we don’t utilize something such as the fair tax initially? Senator McCaskill: Well the very industries that, that build things are some of the ones that are hardest to get around when you try to change the tax code. There are all kinds of incentives embedded in our tax code that are helpful to business. That’s how they got there. In fact, it is, a lot of it is the sectors that have lobbyists have had way more power than the average person because they’re the ones who pushed. You know, I mean, let’s just think of a good example – the mortgage deduction. Where do you think the mortgage deduction came from? [laughter] It came from the home building industry. Clearly, people who sold homes wanted a way to incentivize certain behavior in the tax code that would assist in fact their businesses. And that’s where the mortgage deduction came from. So, as we try to simplify the tax code we’re gonna take on some fights. Now I’m ready to take ’em on. Question: Have you, have you looked at the tax code? Question: Have you evaluated it? Senator McCaskill: I have looked at it. And I think it has some, there, there is, I don’t know how practical it is in terms of getting it done. But I do think there’s, the simplicity of it I love. I love the simplicity. But some of the other competitive things we can deal with, one of them is health care. I mean, this health care reform debate is huge. Because it is about lowering, you know, we say can we do something about entitlement costs and immediately everyone gets nervous. We’re gonna go in everybody’s pockets for Social Security. It’s not that. It’s Medicare. If we reduce by one per cent. How many of you all learned the, the, the value of the lesson of the miracle of compound interest? All right. If we reduce our medical costs by one per cent a year for ten years the complete arc of the debt and deficit changes. Because of the miracle of compound interest. And because of the major growth that we’re struggling with, in terms of our financial underpinnings, is the growth in Medicare and medical costs. Now, before you get nervous that somebody’s gonna take away your choices, I do not believe that we should take away choices. And the private sector needs to be on the marketplace and competing for those health care dollars. Competition is good. And the market is good. But having said that, this is the example I love to give. I did it on Charlie Thompson’s radio show this morning. Many of you heard it. And that is, how many of you have seen the ads for scooters? [laughter] The ads for scooters. You can get a free scooter. Now think about that. It’s not a free scooter. Guess who’s paying for it? We’re paying for it. Now why do we have a system that is marketing and foisting upon many people that may not want ’em, a scooter, ’cause it’s free? Well, it’s because we pay to get people scooters. Now, which is healthier? If you’re on that borderline that it’d be nice to have a scooter to go around the grocery store, but you could still walk, which is better in terms of health outcomes? Senator McCaskill: Walking. So what are we doing? We’re paying for the scooters. You know, it’s [laughter], we’ve got to get back to preventative care. We’ve got to get back to rewarding good outcomes, we’ve got to get back to, and we can do this. We can lower these costs. Diabetes alone [applause], diabetes alone is an incredible drain on our tax dollars. And think of what we could do just to decrease spending in diabetes by one per cent a year. This would not be, it’s not something we can’t do. Especially if we incentivize it. So I think that health care, and that is one of the biggest competitive disadvantages for businesses right now as it relates to health care costs and taking that off their shoulders, especially small businesses. But, you know, one of the things we gotta keep working on, and we did. We did do some specifically geared, help for small businesses ’cause those are really the engine. But, I, I’ll tell you one thing, I was a little nervous about making the investment in the American car companies, but then this voice in my head kept saying, “We gotta build something.” We can’t give up buildin’ stuff. So I think we are gonna save three American car companies. And I think they’re gonna survive into the next generation and continue to build really good cars in America. Question: I think that’s all, that’s great. How are we going to pay for it? Senator McCaskill: Well, we pay for it the way we’ve always paid for it, and that is by, we incentivize people by knowing they have a free market system, that if they play by the rules and work hard, they can succeed in America. Question: Tax and spend [garbled]. A bulletin board in the Parkhurst Commons at State Fair Community College. 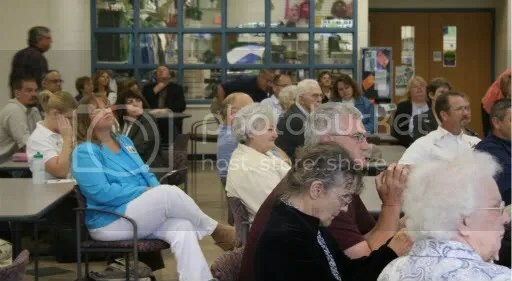 The transcript of the town hall will be continued in subsequent posts.